Previous Article← Why a sudden shift from carpooling to ride sharing? The taxi industry is an on-demand platform where many have earned much by adopting the latest technological arrivals in the industry. Uber has paved way for the transportation sector to revamp the traditional business model. Their concept is ideal for the taxi businesses that made it easy for service providers to dispatch an unparalleled service. In an era of smart devices, people want to get everything in a few taps from their smartphones. They used a technology to work for it. Their taxi-booking and -dispatching apps help them to connect cab drivers and passengers for a hassle-free ride. As a way of imitating their business model, Uber clones have come into existence. If yours is a start-up taxi company, then it would be smarter to find the best applications that suit your service location and business model. 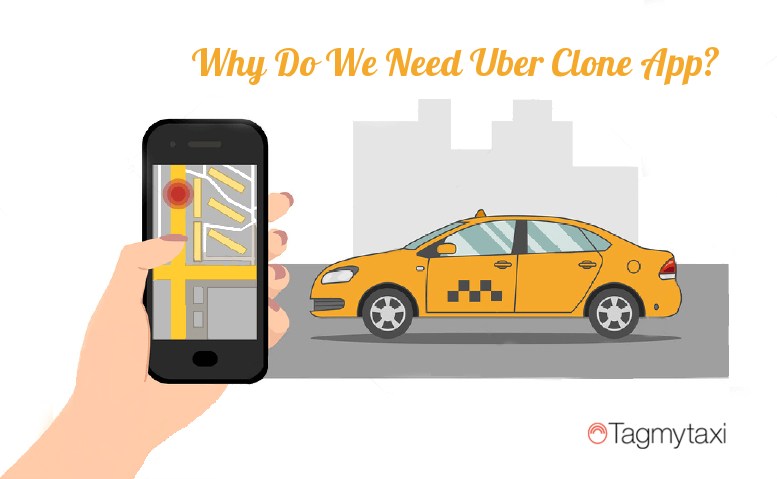 Why Do We Need Uber Clone App? In on-demand taxi sector, taxi-booking and -dispatching apps become essentials. It gained popularity throughout the globe for the convenience it provides in all aspects. There are a handful of taxi service providers in the market. To get more visibility and sustain in the market, you have to adopt the right one to take you to the next level. Uber’s growth witnesses the success and sustainability of the business model and Uber clone application. If you are really intended to provide the best-in-class and convenient service to your customers, adhere to the most-effective ride-hailing software such as Tagmytaxi which is feature-rich and brings visibility to your brand through its seamless performance. Following are a few features that will define why you really need an app for your on-demand business. It is a common but a must-have feature for any ride-hailing business. It allows users (driver or passenger) to get started with the application. Besides you can opt your customers to register using their social network accounts. It would be the easiest and convenient way to access apps effectively. By having required details on hand, you can offer a hassle-free taxi-dispatching service. In a technologically advanced arena, cash is no more the only option for paying. By using the Uber clone app, you can receive payments from your customers by cash, or through debit/credit card, net banking, in-app payment via third-party integration, wallet payment, and so on. The cashless payment is more secure and hassle-free and an important feature for a taxi-booking app. These are the must-haves of any taxi software. Without which taxi business is not possible nowadays as it helps drivers to track the exact location of customers and their destination. Even passengers can track their drivers. GPS enabled software with Google map integration and find locations in real time and dispatch and deliver cabs effectively. In addition to the above-said features, there are a lot more such as notifications, fare estimation, review and ratings, driver availability, driver and vehicle details, and user-friendly app design, and you can also avail your passengers with ride-sharing or street pick-up options. Want to get more visibility and gain more profit and popularity like Uber? Better find one Uber clone on-demand taxi app!